One of the major reasons behind this is the kafala system under which the employer is responsible for the worker’s well-being, his residency and work permits. 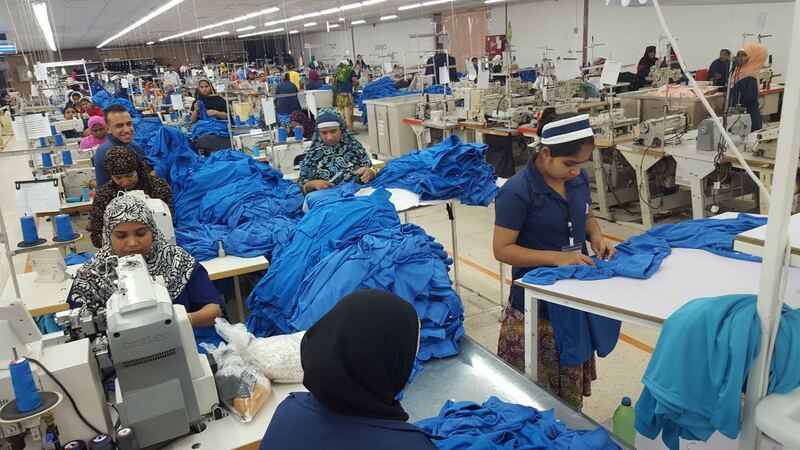 South Asian workers from Sri Lanka and Bangladesh working in Jordanian garment factories in Dhulail Industrial City. Courtesy: Rina Mukherji. Amman: Unlike other countries in West Asia, Jordan lacks petrodollars. In 1996, an agreement with the US gave the country preferential duty-free and quota-free access to the American market. This was the first such agreement the US ever had with an Arab nation and saw the establishment of Qualifying Industrial Zones (QIZ) – essentially, industrial zones created to service the export market. In 2000, a free trade agreement with the US furthered the relationship and also brought Jordan closer to Israel. As per the terms of the agreement, around 8% of the value addition for the products manufactured in the QIZs must come from Israel.